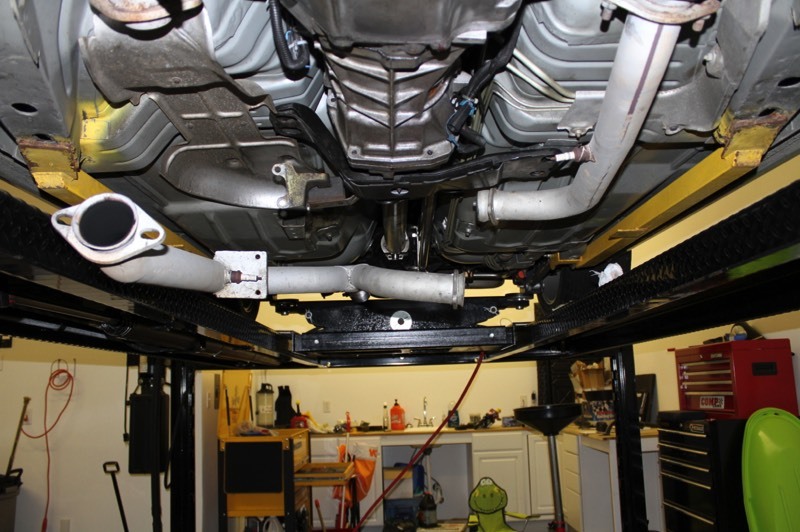 The exhaust system will be in the way in capacity for most people. This is the step where you take it upon yourself and get it out of the way the best you can or completely removed. This Z28 is equipped with the Mac mid-length headers, off road y-pipe, and exhaust. From the y-pipe to the muffler is welded. The y-pipe is bolted in. Start by removing the four 13 mm bolts on the tunnel brace. 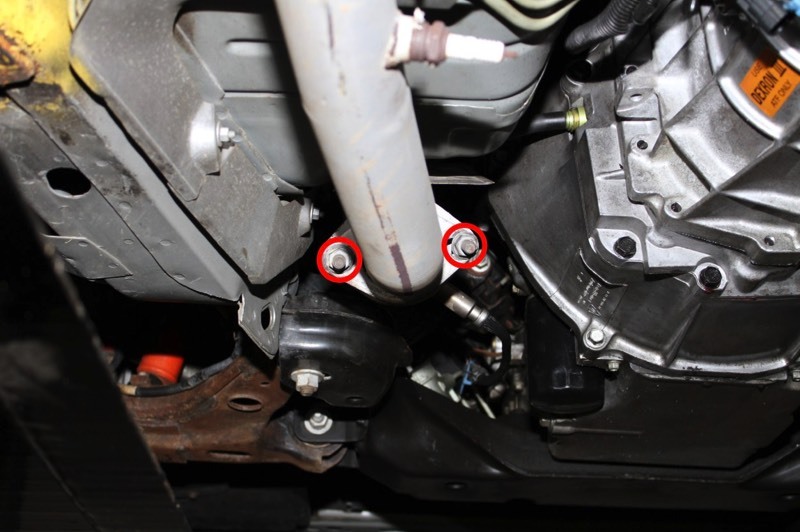 Remove the two 17 mm y-pipe nuts on the driver side. The bolts are actually threaded on each end. They may come out with the nuts. If they do, no big deal. 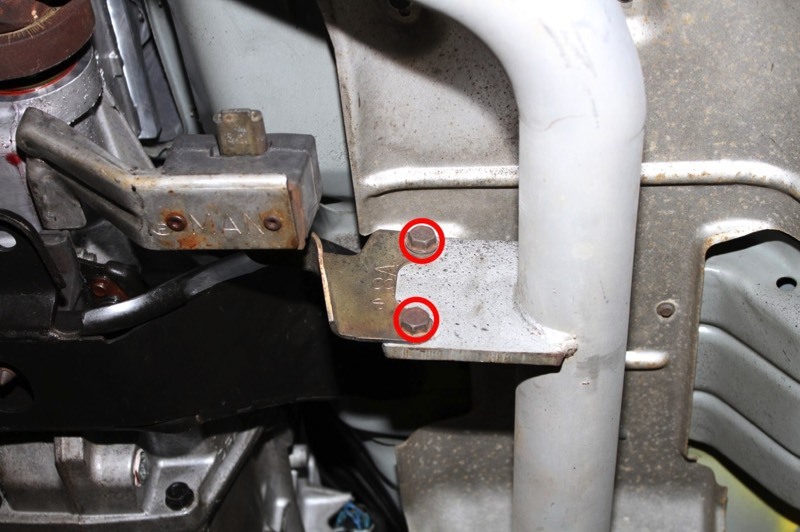 Remove the two 17 mm y-pipe nuts on the passenger side. The bolts are actually threaded on each end. They may come out with the nuts. If they do, no big deal. 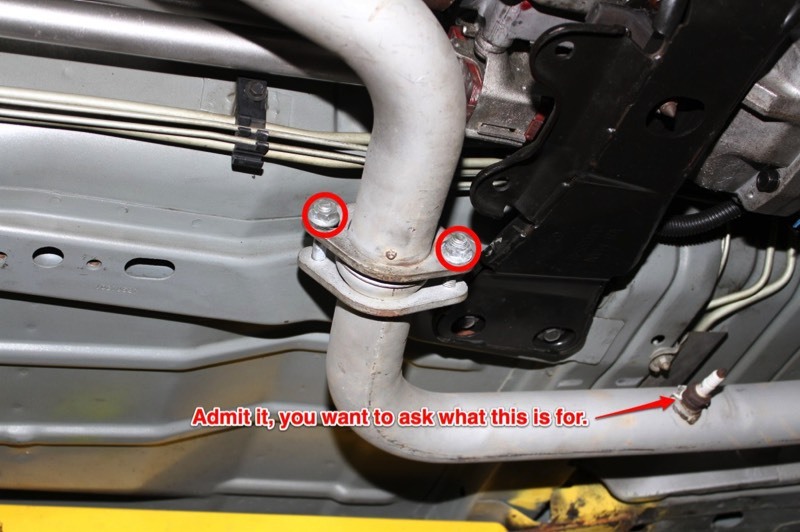 Remove the two 15 mm bolts on the y-pipe hanger. 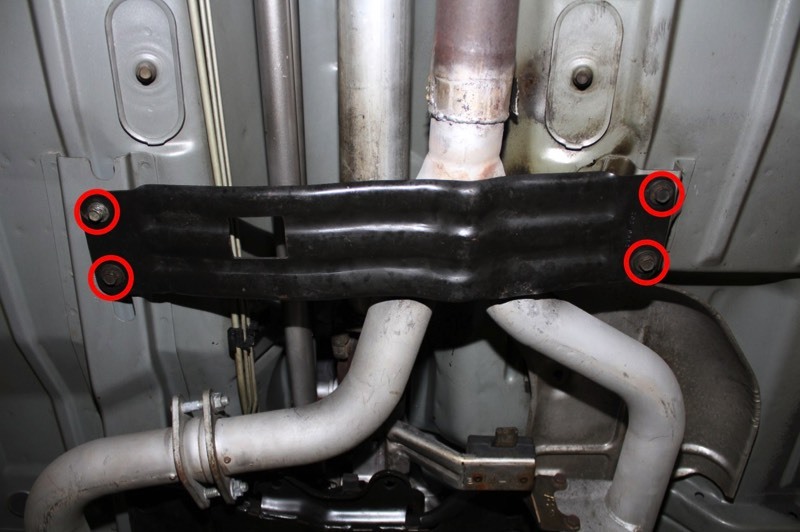 Once you complete this step expect the exhaust and y-pipe to fall. Take appropriate steps to keep this from happening. This was the end result. The y-pipe was the biggest obstacle. Support your exhaust if necessary.